If you had told me twenty years ago that’d I’d send my children to a private school then I wouldn’t have believed you. At the time, having gone to a top public school myself, and as an activist in the Socialist Workers Party (Oxford University branch), I thought that private schools were the cause of all Britain’s social problems and that they represented everything I hated about this country and my life. I also believed that England’s comprehensives were the finest, most noble institutions to have ever been created and that anyone who did not agree must have been influenced by the Daily Mail, the Tory Party and a virulent hatred of the poor. However, since Caitlyn and Jeremy were born I have had time to reflect. I now realise that some of my local schools aren’t as good as they should be. Class sizes in them are much too big. Some of the other children in them are funny-looking. Also, having visited my GP’s surgery 337 times this year, they have agreed that Jeremy has Special Needs and I don’t believe that the local state school can meet those needs as well as the small class sizes and dedicated teaching staff at Eton. Some may accuse me of hypocrisy but actually I just care about my children. Besides, there’s no difference between what I am doing and moving into the catchment area of a good comprehensive, converting to Anglicanism, and spending £30,000 on suing the local authority which is what most of my friends have done. I am still really left wing and radical. Just look at what I wrote last week about how I hate the royal family. I’m really radical. However, after visiting the brand new building of the local academy, and checking my bank balance, I decided that it would be in society’s best interest for Caitlyn and Jeremy to go to their local state school. No, no, don’t thank me. It’s not the truly selfless, altruistic example of personal heroism it looks like. Actually it’s in Caitlyn and Jeremy’s best interest. After all, they are so gifted they don’t actually need all those small classes and extra tuition we could have paid for. What going to a state school will give them is the opportunity to make friends from a wide variety of backgrounds, including poor people. Poor people are wonderful and I believe that to the bottom of my heart even though I have never actually met a poor person. Also the teachers are wonderfully committed in my local state school. If you don’t send your child to the local comprehensive then you must hate poor people and teachers. And you’re probably a racist too. Not like me. If everyone did what I have done all the social divisions in this country would simply melt away. In fact we should make everyone do this. Otherwise it’s not fair. I didn’t go to a private school and I can’t afford to send my kids to a private school. I hope the local state school is good enough. I know that most state comprehensives aren’t, and except for a few ideologues, most people who can afford to avoid them, or can work the system to avoid them, do so. What would be a radical left-wing policy would be to work on improving state schools so that they are good enough for even the most anxious, middle class parent to use without worrying. But that is a difficult policy to argue for in the pages of the Guardian, and not because of the cost, but because it would involve challenging some deeply held views of the middle class left. It would challenge the belief that children are natural saints whose bad behaviour only results from false consciousness created by capitalism, social problems and insufficiently compassionate teachers. It would challenge the belief that children learn best through play, having fun or being preached at about the importance of tolerance. It would challenge the belief that all we need to do is claim to care a lot, and have the most politically acceptable structures, and everything will sort itself out without a lot of effort or any change in attitude on the part of everybody with power and influence over education. Additionally, it would involve admitting that the question of where the upper middle class choose to send their children is an irrelevant distraction to the actual issue of what happens to the majority of our children in the majority of our schools. Following the intervention of Ed Balls, Secretary of State for Retardation and Ignorance, and in line with what is happening in British Schools, I am pleased to announce Andy Murray has won the 2010 Australian Open Tennis Tournament. It has now been made easier to win the tournament, just turning up and competing results in a trophy, a winner’s medal and a certificate of victory. This is so no one feels like a loser and so that Andy Murray does not suffer from low self esteem. Furthermore, he has been diagnosed, by someone with no qualifications whatsoever, with a specific learning disability that means tournament organisers have to differentiate matches according to his IEP and not expect him to perform against the world number 1, as not only is this likely to result in failure and a lowering of self esteem. He is also likely to fail his target of not swearing more than once a game. 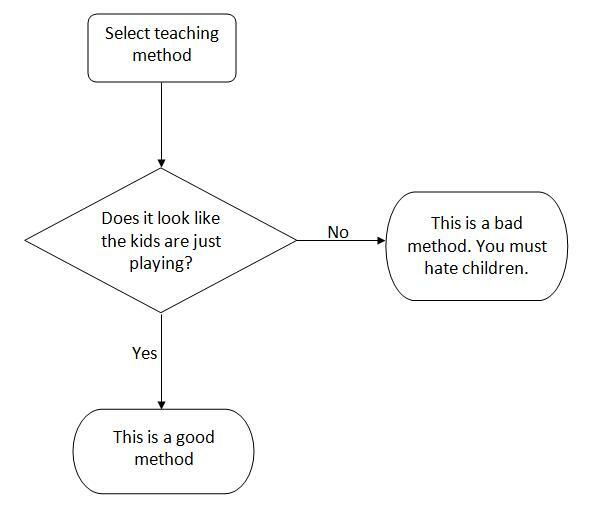 To ensure Andy always gains the success we are sure he deserves, or at least to ensure he’s successful enough that he won’t get stroppy and disruptive and swear at the umpire, we have come up with a personalised education plan where he will be examined on: being Scottish, shouting “come on” and playing on his X-Box. Under no circumstances shall he be tested on “playing Swiss people called Roger in Grand Slam tournaments”. Finally, in order to avoid a repeat of this morning, Andy shall not be expected to play tennis to win matches. All Andy need do is to fill in a booklet about Tennis, with the help of Wikipedia which has all of the relevant answers. Completion of this booklet will be the equivalent of 4 Grand Slam victories. An announcement about a new diploma in tennis playing is expected shortly.